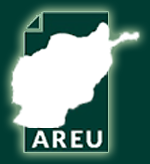 Afghanistan Research and Evaluation Unit (AREU) is recognized as a Top Ten think-tank in the Central Asia, according to an assessment conducted annually by The University of Pennsylvania. The 2015 report, published online, shows that AREU has moved from 14th position in the year 2014, to 9th position in the year 2015. This year’s assessment of research organizations is done under the theme: “Why Think Tanks Matter to Policy Makers and the Public.” This achievement was widely covered by media. This link is from a discussion on the topic at Tolo TV.